I just read an article in Whole Dog Journal about the possible effects that extreme stress on the mother can have on her unborn puppies. It was really quite interesting and if you are a human companion to a beloved dog, I consider Whole Dog Journal to be one of the top publications to get. The research and detail they put into each article regarding holistic and natural health of dogs is amazing and I learn something each time I read an issue. After reading this particular article in the November 2014 issue, so many things began to click into place with regards to those dogs you might have heard of who just have “something off” in their brain. At least that’s how I’ve usually heard it referred to. Working in rescue, and most recently with The Great Dane Sanctuary, I’m come to realize that the hardest part of this type of work is having to accept that there are some dogs who just can’t be ‘fixed’. It’s been heartbreaking each time I’ve been part of that decision to give those dogs the peace they so deserve but cannot find in this life. According to the author, Jessica Hekman, DVM, MS, when a dog is overly stressed, cortisol levels increase. This sends signals of danger and puts the body on alert to deal with the threat. Thankfully, in most situations, unborn puppies are protected against this surge of cortisol. Unless the level of stress is so high as to override that function, bathing the fetuses with a whole lot of scary stuff. And this is where my theory comes into play. Assuming that canine mothers pass on information about what’s going on in their world, much like in humans and rodents, her puppies are often born ready to fight, flee or cower at the drop of a hat. 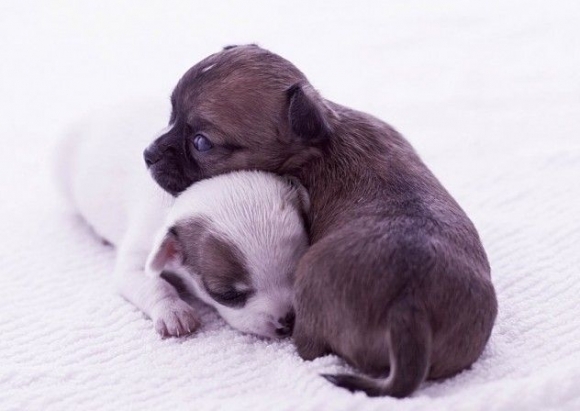 So, even if a puppy is raised in a safe, loving environment with wonderful human caretakers, it may not be able to shake its over reaction in times of stress. This may manifest itself through fear, aggression, or both. To me, this must be what is happening sometimes when we have a rescue or sanctuary dog who is fine most of the time, maybe even 99% of the time. But, then something happens and it is like “a flip is switched” inside his or her head. It’s the only explanation I can think of for dogs who I know come from good, loving homes, but just can’t seem to function in the normal outside world. It’s truly sad knowing that some of these dogs won’t have a chance to enjoy life as they should, even before they are born. Below is a direct quote from the article which might help some people who take in a puppy or dog whose mother may have had a rough life in a shelter, on the street or in a pen for backyard breeding. Good luck and bless all of you who are willing to take a chance on an ‘unknown’ puppy. So, I read somewhere that March is pet nutrition month. I’m assuming it’s something like Boss’s Day or Sweetest Day. An excuse for the retail world to get to spend money you might not otherwise part with. However, nutrition is just about my favorite topic, so I’m taking advantage of their marketing to talk about what we’re feeding out dogs. Nutrition is pretty much at the core of everything that isn’t genetic in a dog. I’m constantly amazed at the number of issues, both physical and behavioral, that are caused by poor or inadequate nutrition. I was doing research for one of our rescue danes last week and, even though I sort of knew this, it was brought home just how much feeding the wrong stuff to our canine companions can affect them and their personalities. 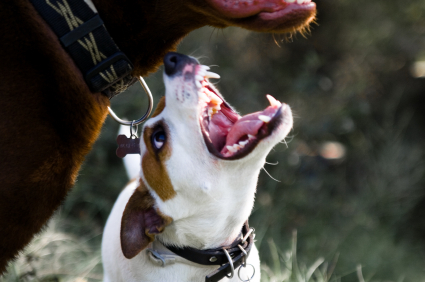 For example, did you know that a poor diet can cause fear and fear-based aggression in dogs? There are several studies going on in both the US and the UK, examining how levels of tryptophan might help mitigate unwanted behavior cause by fear aggression. Changes in diet composition to one that will help maintain a dog’s glucose and insulin concentration can also make a difference in behavior. But, that’s neither here nor there when you’re standing in the pet store reading a list of ingredients, half or more of which you can’t even pronounce. What we do know and will help with diet selection is that, as carnivores, dogs need a very high-quality protein to maintain a level of calmness and stability. Specifically, animal-based proteins (vs. vegetable base). Feeding a dog a diet high in carbohydrates, especially starches and grains, is going to cause unnecessary and unwanted spikes in blood sugar and most of us know what it feels like to have that happen. A variety of animal proteins will insure that your dog is receiving all the amino-acids needed to properly digest and utilize the food it eats. How does food influence my dog’s behavior? Any food which taxes your dog’s immune system should be avoided. Feed your dog a diet which includes high quality whole meats, multiple sources of protein, and easily identifiable fat sources (i.e., chicken fat as opposed to poultry fat). Avoid, at all costs, the use of corn, wheat and soy in your dog’s food. These foods are difficult for a dog’s short digestive tract to process, and are often low quality fillers, full of pesticides and molds. Also, avoid artificial flavors, colors and preservatives, as well as sugars. Find a food which includes fruits, vegetables and probiotics. Most pet food manufacturers are jumping on the bandwagon and producing foods which follow these guidelines, so the availability of such foods is rapidly increasing. These foods will provide nutrition in the most usable form, and give the dog the best possible combination of vitamins and minerals. Poor quality foods can tamper with a dog’s blood sugar level, create irritability, gastric irritation, and other physical complaints which make learning difficult to impossible. 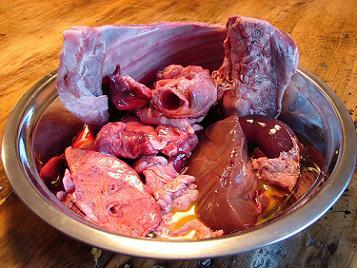 If you are interested in feeding home-cooked meals or raw food to your dog, make sure you do lots of research first. There is also a page that lists many of the trainer’s favorites and not so favorite foods. At Bifrost Farms, if you choose to let your dog eat the food we provide rather than bring his/her own, they will get Taste of the Wild, which is on her favorable list. We are also more than happy to discuss feeding a raw diet with anyone who is interested in converting their dogs (or cats) to the most biologically appropriate diet possible. I wrote a three part series on feeding a canine raw diet for Examiner.com which would be a good starting point for most people.